These are sooo good you’d never guess they were totally good for you! *If you don’t want a sweet crepe, discard the sweetener. ~ Cook about 1-2 minutes or until you see top starting to dry out. Then carefully flip and cook for about 30 seconds. ~ Stuff, roll, and top with your choice of goodness!! Do you ever wake up late or take too long getting ready that you have to rush out the door?!? Me too. Those are the mornings you are tempted to stop at Starbucks or a coffee shop or Micky D’s for a delish breakfast sandwich on the go OR grab one of those donuts floating around the office 🙈 And what’s the harm, it’s only one meal right? Your first meal of the day sets your tone for the entire day and even the rest of your week! Not to mention all the science behind boosting your metabolism from the beginning of your day. If you allow yourself to give in to an unhealthy choice or temptation first thing, mentally you’ve already conceded your health for the day and put it on the back burner…you will be more likely to make “less than perfect” choices the rest of the day! You can fix this issue, simply! 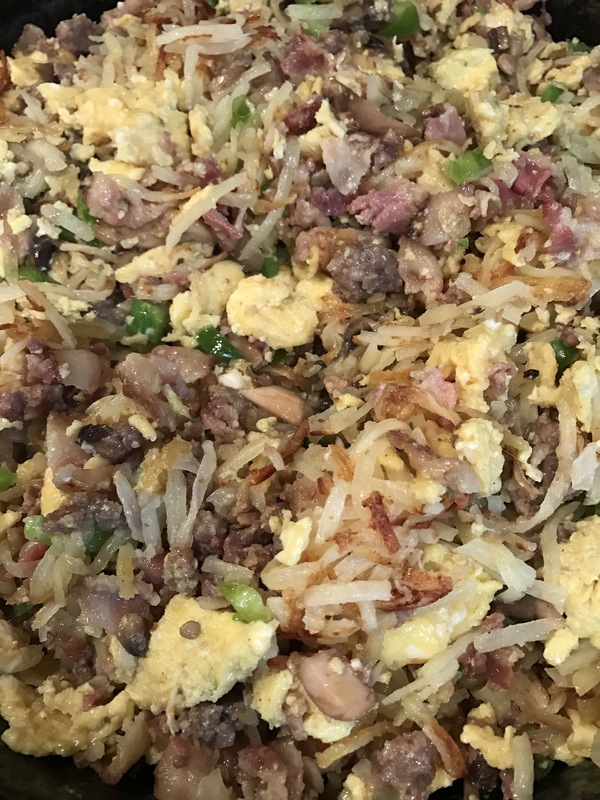 Here is my go to recipe for a quick breakfast scramble that can be prepped in advance AND made into breakfast burritos, bowls or eaten totally on its own! Enjoy! And rest easy knowing you started your day off right!